This morning I was invited to preach at Elm Park Baptist Church in Hornchurch. It was good to be there as the last time I preached there was on Palm Sunday 2013. 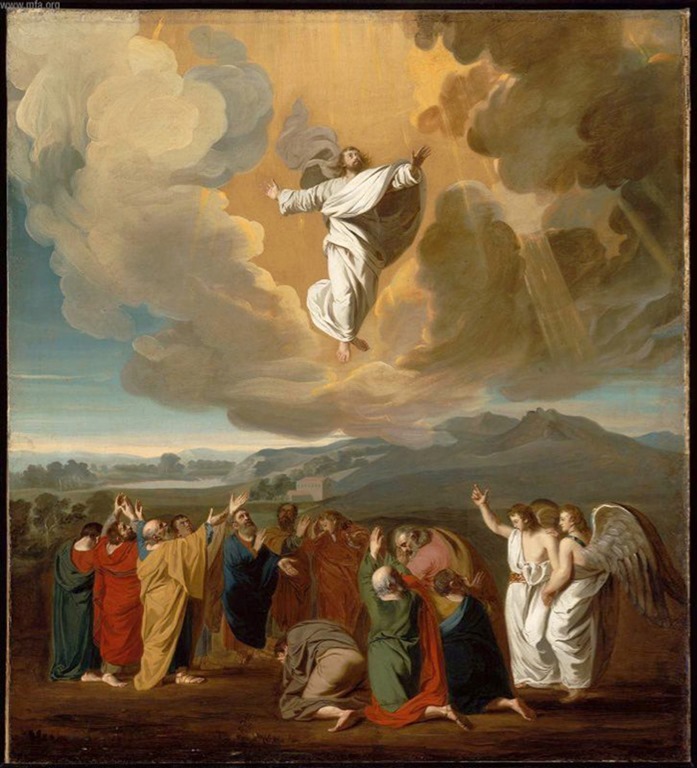 As this coming Thursday, the church traditionally celebrates the Ascension of Jesus into Heaven, I decided that the Ascension would be our topic today. They were overjoyed when they met with their risen Lord. But now he is going to leave them again. That is a promise for all who put their faith in Jesus. He has conquered death and broken the power of sin in our lives. So we can be certain that if we put our faith in him, we shall be with him in eternity in Heaven, his Father’s house. There are of course other reasons why Jesus’ ascension is so important. In Acts 8 we read how Philip at the Holy Spirit’s prompting travels into the desert and meets an Ethiopian man whom he brings to faith. Recently I have been praying for a man I will call John who has been very ill with a brain abscess. The other day I was prompted to phone his wife. I spoke to Janet and immediately it became clear that I was meant to phone her. She was returning to work that day for the first time since John had been ill and was naturally worried about leaving him and also how she would cope at work. So I was able to pray for her and John and she was reassured that God was still looking after them. So the fact that Jesus ascended into Heaven is good news for us in many ways. He was able to send the Holy Spirit to each and every believer to help us in our lives and to be effective witnesses to the gospel. Also Jesus is not only our King who reigns from heaven he is also our great high priest who is ever praying for us. We have the best possible friend in high places and we are not alone as he is on our side if we put our faith in him. Amen. This entry was posted in Talks and tagged Ascension, Counsellor, God, heaven, High Priest, Holy Spirit, Jesus Christ, Melchizedek, sacrifice. Bookmark the permalink.